Revealing opportunities that lead us to realize our spiritual potential. This Book cover was a design that a dear friend of our family asked for. The Author, Denise Richard approached me with the idea of writing a book and asking if I'd be interested in creating the artwork for the cover. I was honored to do it. This is the final outcome of what was an amazing learning process for both her, this being her first book, and my self, this being my first book cover. 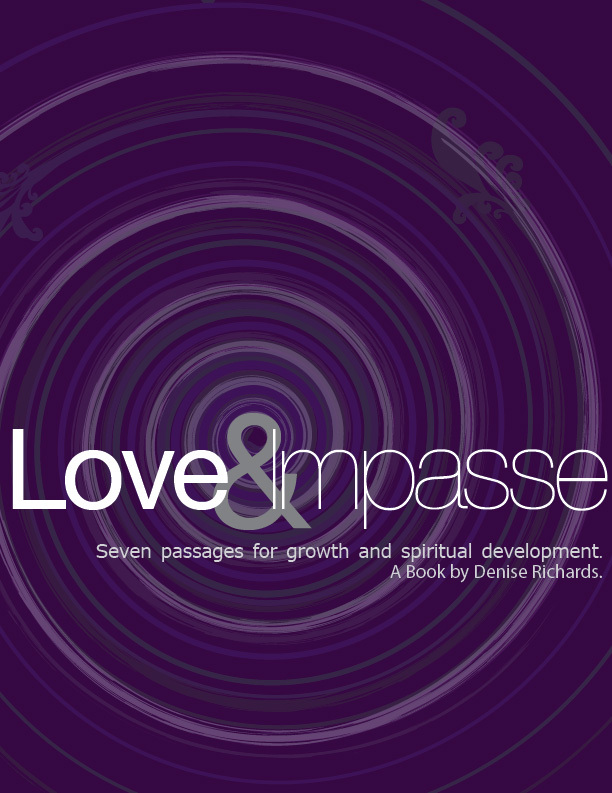 In this compilation of insights, stories and teachings Denise Richard brings unique clarity and understanding to the process of spiritual maturation. For those motivated on a spiritual path, “Love and Impasse” reveals how challenging passages in our lives provide the necessary blueprint for our spiritual revolution. It presents a distinct set of transitions and how each reveals opportunities for greater consciousness of Heart. This book is a wonderful support for anyone who has a passion for the realization of spiritual consciousness. Design evolution and first concepts.